When Captain Glenn Miller unveiled his new service orchestra in 1943, it was immediately evident that this was going to be much more than a copy of his civilian band in uniform. Gone was the standard dance band format - in its place a mighty concert orchestra of majestic proportions with a repertoire to match. 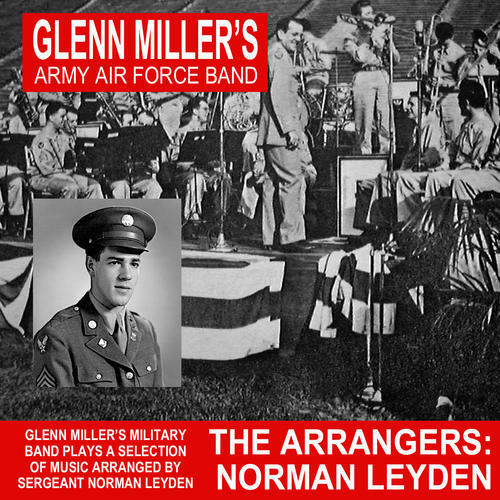 This CD focuses on the major contribution made by composer, arranger, musician M/Sgt, Norman Leyden. He was the last of the three principal arrangers to join the Miller organisation, having previously been the conductor of an all-service band for the big Broadway stage show “Winged Victory”. The charts he created were to include many that have become Miller favourites, including “Going My Way”, “I’ll Be Seeing You” and “Long Ago and Far Away”. 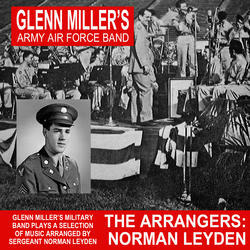 The latter was nominated by the much-missed British broadcaster Alan Dell as the arrangement that best epitomised the sound and style of the Glenn Miller Army Air Force Band. Seldom were big band singers better furnished. The gorgeously scored accompaniments that flowed from Norman Leyden’s creative pen were not simply ‘backings’ but mini master classes on how to showcase an orchestra, its vocalists and their collective strengths. This CD follows on from our previous, recent issue “The Arrangers: Jerry Gray” (DSOY2135) and will shortly be followed up with an album by Glenn Miller’s third major arranger, Ralph Wilkinson.